Search Results for "asian elephant"
Asian wild elephant in jungle. The Asian elephant, or Asiatic elephant (Elephas maximus), is the only living species of the genus Elephas and is distributed in Southeast Asia. 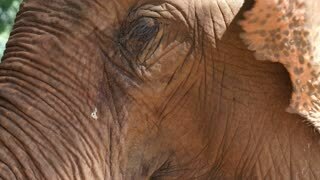 Eye of an asian elephant or Asiatic elephant (Elephas maximus). 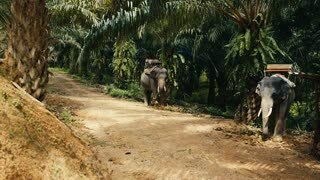 Two Asian elephants playfully walking and flipping dirt at an elephant sanctuary in Thailand. 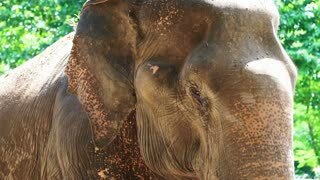 Young asian elephant being fed by backpackers at an elephant sanctuary in South East Asia. 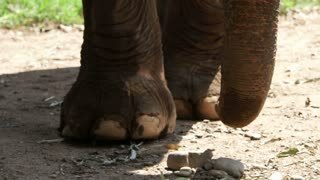 A cute Asian elephant bows down and does a curtsy to a foreign tourist at an elephant camp in Chiang Rai, Thailand. A young Asian elephant drinks from a river at a reserve in Thailand. Other elephants and a small group of people are visible across the river.